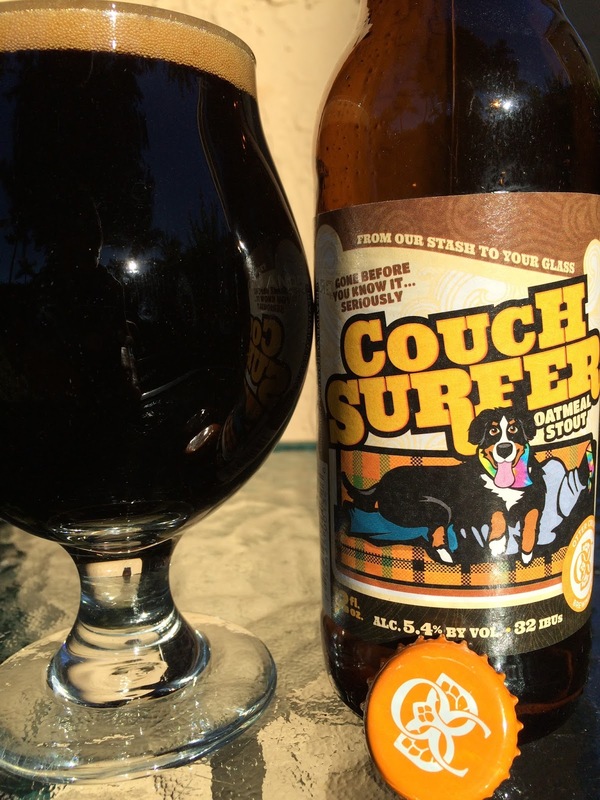 Otter Creek's Couch Surfer Oatmeal Stout is the one of the newest Brewery Direct beers to hit the Total Wine shelves recently here in South Florida. The label depicts a dog which is apparently sitting on a person sleeping with a mask on (please explain it to me, I'm not that sharp). "Gone before you know it... seriously!" 5.4% alcohol. 32 IBU. Chocolate and cocoa aroma with just a touch of coffee. Very creamy, first impression. Chocolaty, burnt sugar, hints of coffee, light char. Very smooth as well. Good flavors, fairly simply yet tasty. Flavors linger long after each sip.